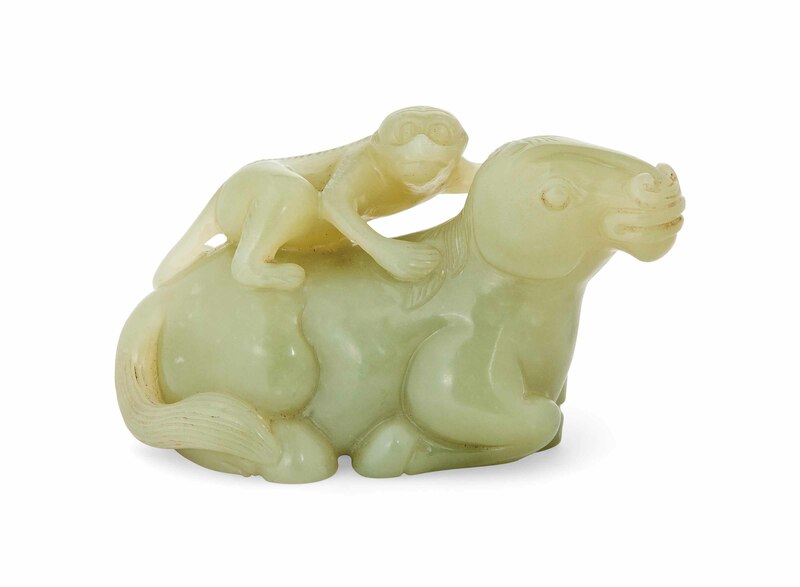 It is naturalistically carved as a recumbent horse with its head slightly turned to its right, its legs folded and tucked underneath its body with a monkey clambering on its back. The stone is of an even celadon tone. The horse and monkey pictured together reflects the rebus Ma shang feng hou, an auspicious wish for a speedy promotion to higher office.